The Toronto Real Estate Board reported 7,342 rental transactions through the TorontoMLS system in the second quarter of 2014. This result was up by 25.7% compared to Q2 2013. The number of units listed for rent in the second quarter was up by 22.2% on a year-over-year basis to 12,510. “Condominium apartments rented out by investors represent an important component of the overall rental pool in the Greater Toronto Area. These units account for the majority of newly completed apartments listed for rent in the marketplace today. Renters looking for apartments located in popular neighbourhoods with up-to-date designs and modern finishes are increasingly renting investor-owned units. This is why the number of rental transactions continued to increase last quarter,” said TREB President Paul Etherington. Average rents for popular one-bedroom and two-bedroom unit types dipped slightly on a year-over-year basis. 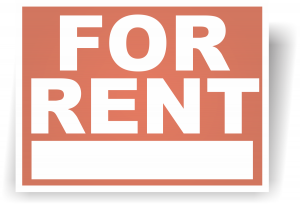 The average one-bedroom rent in Q2 2014 was $1,583; the average two-bedroom rent was $2,142. “Last quarter we saw stronger growth in the number of units rented relative to the number of units listed. This suggests that competition between renters increased. If this trend continues, we will likely experience renewed growth in average rents in the second half of 2014,” said Jason Mercer, TREB’s Senior Manager of Market Analysis.